"Age of Extinction" also earned $201.3 million from 37 international territories, specifically making $90 million in China, where it was partially filmed and co-produced by partners like the state-owned China Film Group and the China Movie Channel. "With almost half of the international total coming from China, it shows how important that marketplace is to the worldwide box office," Paul Dergarabedian, senior analyst for box-office tracker Rentrak told ksn.com, "This film has really capitalized on all fronts." "Age of Extinction" stars Mark Wahlberg and Nicola Peltz as a human father-daughter duo who aid the shape-shifting robots from the Hasbro toy franchise. Besides the addition of a new human crew, the sequel also introduces the popular Transformers characters based on the likenesses of dinosaurs. "Age of Extinction" topped the previous entry in the series, "Dark of the Moon," which took in $97.9 million during its opening weekend in 2011, but failed to eclipse the $108.9 million debut of the second film, "Revenge of the Fallen." The first three "Transformers" films starred Shia LaBeouf as a teenager who befriends hulking alien robots Optimus Prime (voiced by Peter Cullen) and Bumblebee. The original 2007 film made $70.5 million and went on to domestically gross $319.2 million. "Age of Extinction" was distantly followed at the North American box office by a trio of sophomore efforts: "22 Jump Street" in second place with $15.4 million; "How To Train Your Dragon 2" in third place with $13.1 million; and "Think Like a Man Too" in fourth place with $10.4 million. 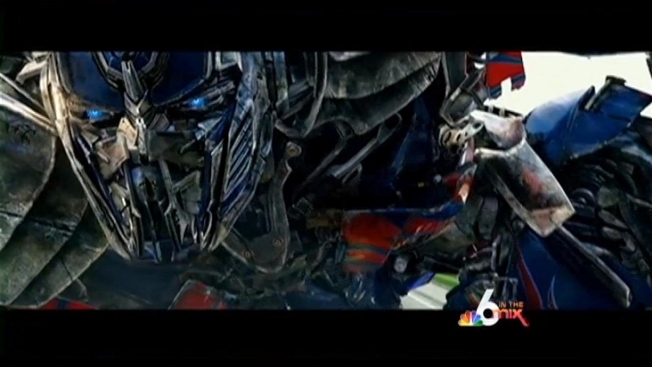 "The 'Transformers' movies are known for being released around the Fourth of July, so this really ensures the film will have a strong second weekend," said Dergarabedian. "The only movie opening ahead of next weekend in wide release is the Melissa McCarthy comedy 'Tammy' and that will be counterprogramming to 'Transformers'", KSN reported.